Ok guys I am SO excited about today's post! I am partaking in the One Room Challenge which for those of you that aren't familiar with it, it's an exciting interior blogging event that is held twice a year by Calling It Home (www.callingithome.com). 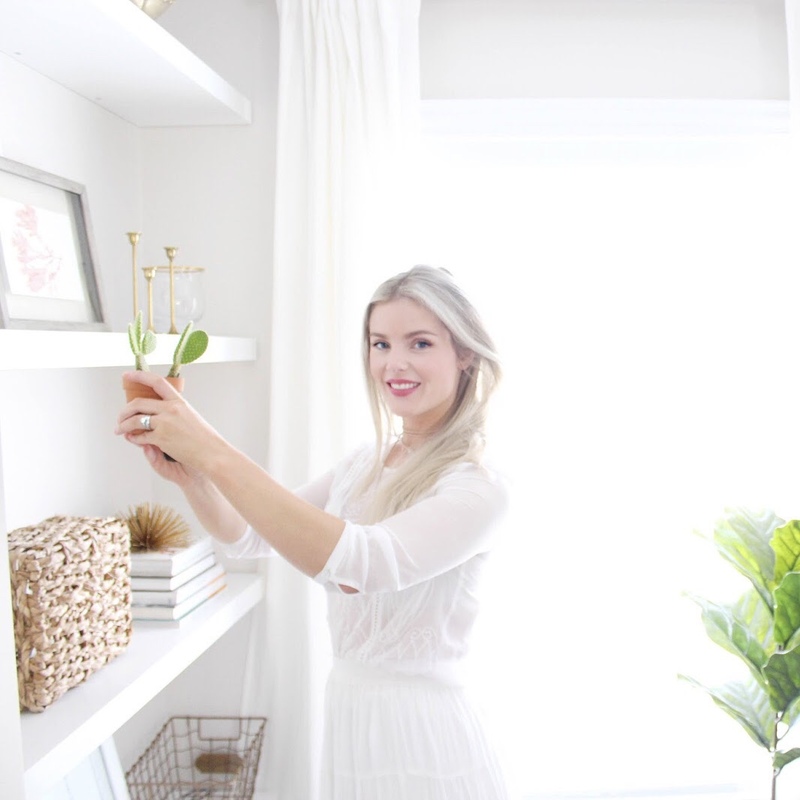 You have 6 weeks to completely transform a room of your choosing and every Thursday each week you provide updates of how things are coming along and your progress! 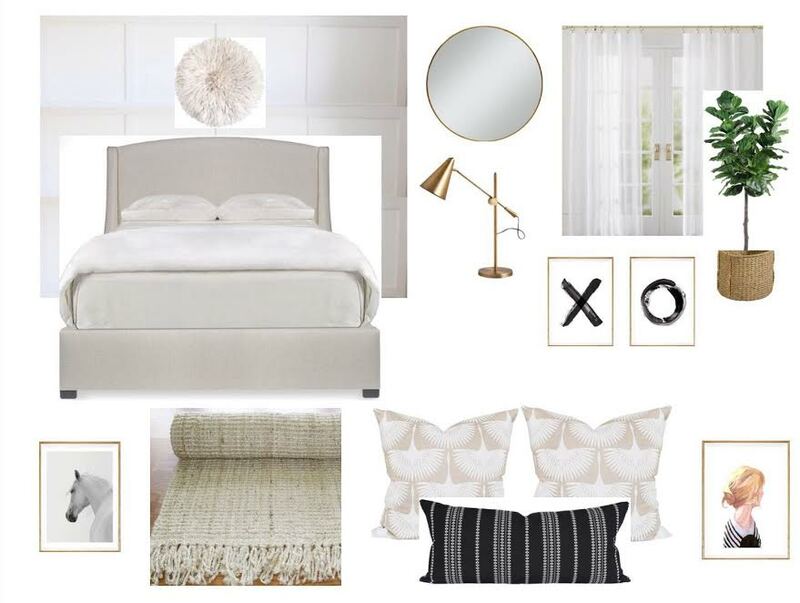 So of course I knew I wanted to do our master bedroom for the challenge- like most people, our bedroom has been last on the list in terms of decor and decorating and I thought this would be just the push I needed to just get it done. Plus it will be fun bringing you all along on the journey and giving you progress reports. To start things off for "Week 1" I thought I would share a picture of what i am working with and my ideas for the space. So I emptied the room of pretty much everything so you guys could see how things look right now. The room is quite large despite this horrible angled shot but I will have to do! So the main thing in the room that stands out is the bed. 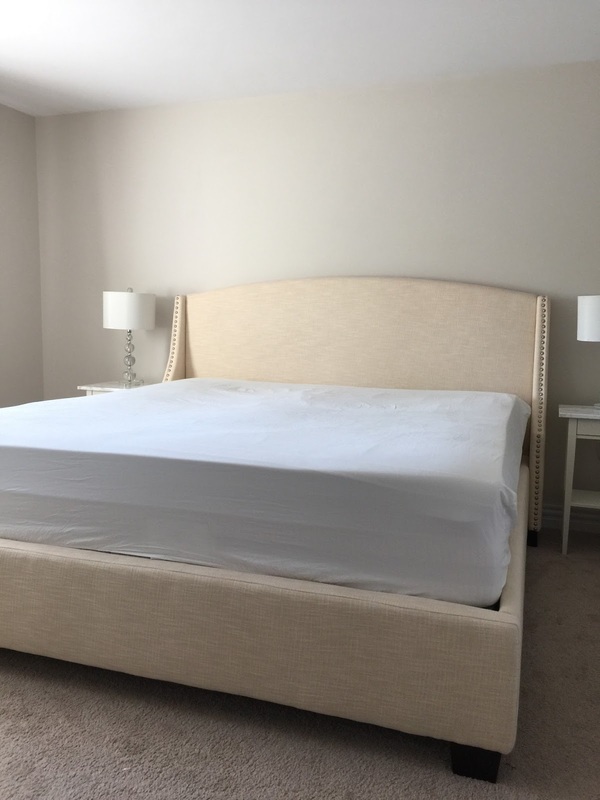 We ordered this bed a few years ago and we love the style but where never really happy with the colour of the fabric, it looked like a creamy white online but when it arrived it was a creamy vanilla with a lot of yellow undertones. So first up the bed is being reupholstered in a new fabric to make it the colour I have always wanted. I have been debating on leaving the wings on or off, we shall see! Next up I want to do a complete board and batten feature wall behind the bed that will add some interest and jazz up that wall. Because this room is so big I feel like the trim work will really make a statement. Here is a mood board of the overall vibe I am going for, I want it to be bright, airy, cozy and calming with lots of texture since it's going to be pretty monochromatic. Yet still have a bit of interest with some art and things that feel like 'us'...well... me really because hubby doesn't care about having a girl in a black and white shirt with a side bun on his nightstand but you get the idea. -Style the space, dresser etc. Alright friends, wish me luck on this journey and I can't wait to update you next week!